Not sure what it is, but in my experience I've never known a little girl who wasn't in love with horses. From the ill-fated Bonnie Blue in Gone With the Wind, to the childhood me and both my girls, the principle fascination in life at tender years was to own a pony. The ultimate goal when the time came later, of course, was to convince Mom and Dad we deserved a horse. 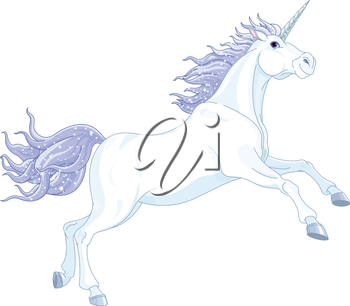 It's little wonder then that when we combine childhood fantasy with the equine dream of little princesses, one of the biggest fascinations is for unicorns. These mystical, magical creatures are the stuff of legends and fairytales, enchanting and beautiful with spiralling horn and flowing mane. In the minds of tiny girls they are horses and more, visions of pink and white, friends of dancing fairies and woodland nymphs. "Every time a child says, 'I don't believe in fairies,' there is a fairy somewhere that falls down dead." — James Matthew Barrie, Peter Pan. For two days, once a month, a child who does believe works her magic on me. As our one daughter lives a couple of hours away, we have arranged to bring her two sweet little ones to stay with us one weekend a month. It ensures they know Grandma and Papa's house, that Mom and Dad get a break, and that my husband and I can see life once again through the eyes of a child. With them, particularly the 2 1/2-year-old elder, our staid adult life is left behind and imagination soars. One of the favourite times during these visits comes at the end of a busy day, when a weary Grandma gets to curl up with a book for a bedtime story. This past visit the focus for this ritual was on enchanted castles, princesses and fairies, the last of which provided much entertainment and provoked many questions from our 'Missy'. 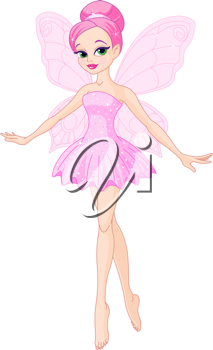 The charming characters, dainty girls all pink and perky with sparkling wings, captivated her. It's not reality, it's just a fantasy"
If life is a fantasy, I'd like to say I prefer mine on the happy after after path. Listening to the news is not for the faint of heart any more, and there are times I wish I could forget all that I've seen and heard. 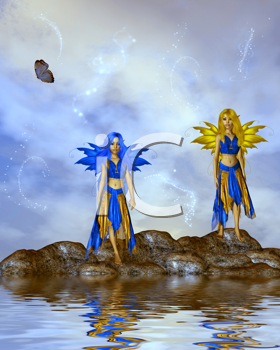 My notion of fantasy is images of fairies and elves. It's enchanted castles and princesses, dragons and brave knights. It takes us away from the commonplace to magical kingdoms where evil exists but good always wins.